1. 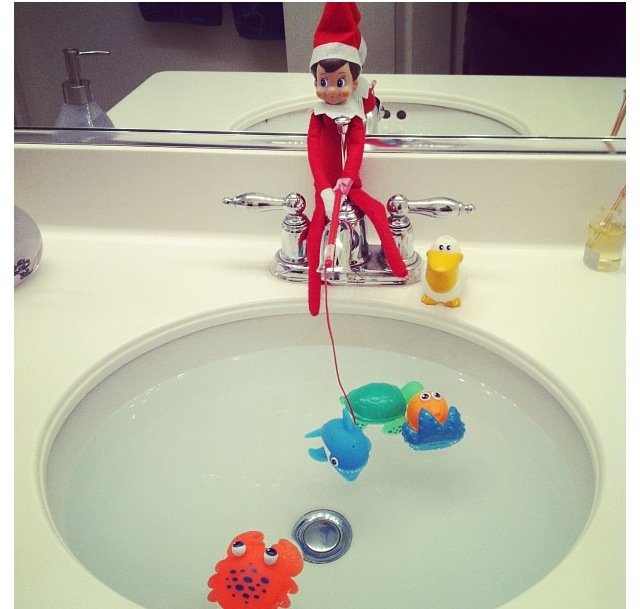 Elf on the Shelf - one of our favorite holiday traditions in the Del Duca household is our Elf on the Shelf. As a parent, it is fun to see the wonder and excitement in my son’s eyes each morning as he searches for “Buddy” (yep…that’s our elf’s name…thank you Will Farrell)! But as a speech pathologist I LOVE this activity because for 24 days (or more if you start right after Thanksgiving) you are focusing on “Where” questions and teaching prepositions (location words, e.g. “in, on, behind, under, above,” etc.) through a real-life fun activity. 3. Cookie Making, Baking, & Decorating! - Oh so fun! I love this activity because it is language-rich, sequential and ALSO focuses on math within measurements. 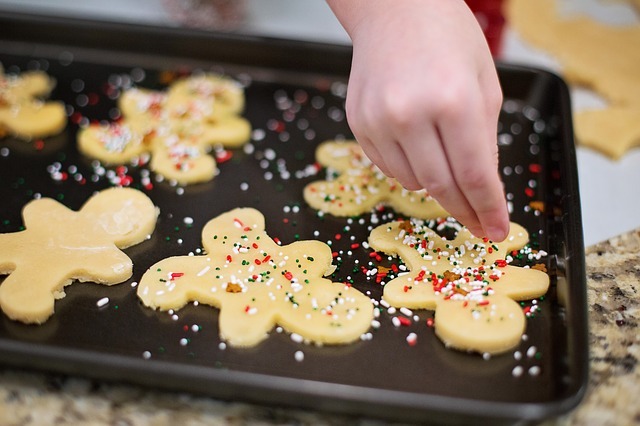 Again you can talk about sequential words (examples above), use self-talk and parallel-talk (find further explanations of what these are here) to describe your actions, and use descriptive words when decorating cookies. 8. 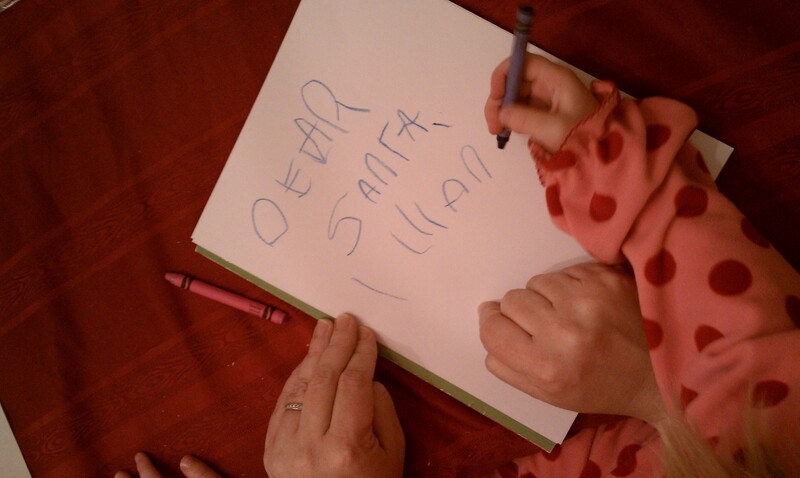 Writing a letter to Santa - a perfect activity to practice creating complete sentences with the correct use of vocabulary, grammar, and organization. You can do this in writing if your child is old enough (great to practice spelling as well) or if your child is young you can still focus on these skills by having your child verbally tell you what he/she wants to write and you can use modeling and rephrasing to demonstrate how to create complete sentences. Plus its so fun to watch them as they are talking about the things they are hoping Santa will bring them! 10. Christmas Scavenger Hunt - this is one of my very, very, very favorite activities to do focusing on vocabulary, modifiers, direction following, problem-solving and so many more language and cognitive skills. I like to print out the Christmas Scavenger Hunt from Speakingofspeech.com (click the link above find your copy) and take my son to the mall or numerous stores and we use Bingo markers or stickers and mark off every time we find an object pictured! It really is a fun time! You could also drive around your neighborhoods and find these items as well if you wanted to! 2. 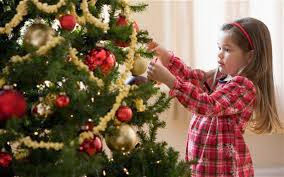 Decorating the Christmas Tree - this activity is great for vocabulary development as you can talk about the different Christmas ornaments. You can teach descriptive words and even focus on answering “Who?s” by labeling who may have given you the ornaments in the past. Its also a great sequencing activity talking about what you do 1st (cut down, or buy/unpack and assemble tree), 2nd (put on lights if not decorated with lights already), 3rd (put on ornaments), 4th (garland/tinsel/ribbon, whatever), 5th (candy canes?). Whatever your typical process is to decorate your tree. You can use words like “first, next, last, before, after”…great sequential words! 5. 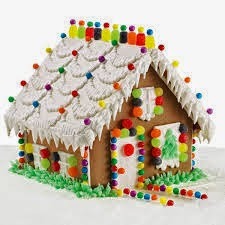 Making a gingerbread house - who doesn’t love to make gingerbread houses? Especially when you get to eat the candy as you work! I love this activity because you can talk about all the different foods and candies you are putting on your house. Its a great sequencing activity. Your child can problem solve how to keep the candy from falling off the house. You can talk about patterning of red and green (or whatever colors you are using)candies, count out the number of candies or foods you are going to use, use self-talk and parallel talk to describe your actions. So many wonderful language skills in this one activity! 6. Catalog Shopping - going through store catalogs and/or circulars and spending time cutting out pictures of what toys your child wants and pasting the pictures onto a piece of paper (making a collage or booklet) is a GREAT activity! You get to practice cutting and pasting as well as talk about all the cool toys your child wants and why your child would like them. Some parents get nervous about this activity because they feel that if their child asks for the toy, they must then go buy it for them. But you can just explain that this is just a “wish list” and that Santa (or mom and dad if you don’t do Santa in your house) will get what he/she/they think is best. IF that is not an option for your family, you can still do this activity. Just spend some time before the activity picking and choosing the circulars that have only the toys you have or are getting your child and have your child cut pictures out of those certain circulars. 7. 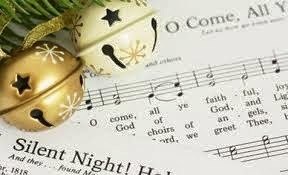 Singing Christmas Carols - you don’t realize how many new and different vocabulary words are in Christmas songs until you start to sing them. Really! What other time of year would your child talk about a “partridge in a pear tree” or that the “horse was lean and lank”? Another great thing about singing songs together is you can sing as fast or slow as you want if you are singing without musical accompaniment. 9. 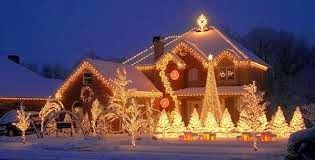 Looking at Christmas Lights - depending on what opportunities you have in your area, you may be able to go to a light display that has many different kinds of lights and Christmas character displays. If not, you can do what we used to do (and still do to this day), make a thermos full of hot chocolate, get in the car, and drive around looking at Christmas lights. What does this have to do with language? Think about all the different adjectives you can use when talking about light displays (bright, beautiful, colorful, simple, tremendous, etc.) as well as great vocabulary when looking and naming Christmas icons you see! Maybe you can even play “I spy” or some other game to target listening, following directions, memory recall and even receptive comprehension (especially if you are using descriptive words to describe an object you see rather than naming the object). Such a fun holiday activity to do with family!